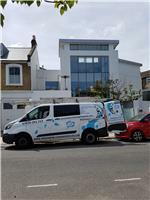 At JM Window Cleaning, we offer quality services to London clients at reasonable prices. Our courteous Window Cleaning Service staff have the professional tools and experience necessary to help with all your needs. Call today to get in touch with our staff and to learn more about what we have to offer. All the services you will need to make your home or place of work spotless. South West London and all surrounding areas.